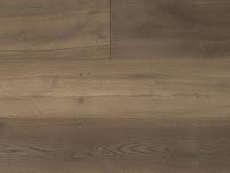 If you have eyes for trendy things, then you will find the Monarch Planks hardwood flooring the trendiest in town. Fine handcrafted wide-plank hardwood flooring finished with the latest European coloring and texturing techniques is what the trendsetter in you will love. This flooring is built using sawn top layers and long boards for superior stability, even if your house is standing on top of a hill. Monach Planks floors are made with Western European Oak, which proves to be the best canvas to create extra beautiful flooring. The reason for this is not only the fine color of European Oak but also because of environmental, aesthetic and performance reasons. There are several lines of Monarch Planks available for you to start trendsetting all over town. 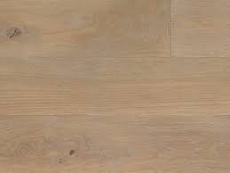 There is the Monarch Plank Artisan’s Preferred Unfinished Engineered flooring, featuring a marine-grade Birch plywood and thick, sawn top layers in European Oak, Walnut and Hickory. Solid wood has never been this durable so all high traffic areas are welcomed. 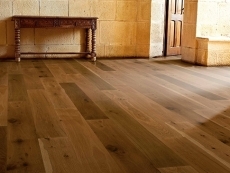 This is also a great choice for craftsmen who love to finish their own flooring. Finished in good ole’ California is the Monarch Plank ‘Finished-to-Order’ Prefinished Engineered Flooring, also using the Artisan’s Preferred unfinished platform. Use your imagination to create a top of the fashion custom flooring if you choose not to get the standard offers, though they are gorgeous! Many of the Monarch Planks lines are coated with European oil finishes, which penetrate into the wood to become an important part of it and for those who prefer a maintenance free floor, flooring coated with a matte urethane finishes mimicking the look of oil are also available. Meanwhile, the textures given on these sassy flooring are wire-brushed, hand-brushed, sand-blasted, and hand-scraped options. To boot, there are master craftsmen standing at the California factory to texture your ‘Finished-to-Order’ flooring product to match your own custom specifications too. 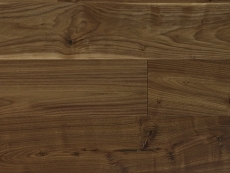 Monarch Planks also give you custom parquet and matching moldings for stair treads, ensuring a complete product. Start ordering away!